Walkways can help define different areas of your yard, guide guests to outdoor entertaining spaces, keep people from walking on living groundcovers, provide access for easy harvesting in your vegetable garden, and allow for proper flow of both your landscape design and the traffic that moves through your yard. They are an important part of landscape design and are instrumental in designing a backyard, front yard or side yard that is functional and meets your needs. Unfortunately, pathway design is often overlooked or given little thought when creating outdoor living spaces, and walkways are often seen simply as a way to get from the gate to the deck, from the patio to the pool or from the house to the garden. When considering their most basic function, this is true. However, pathways can be so much more than just a convenient way to get from one point in your yard to another. 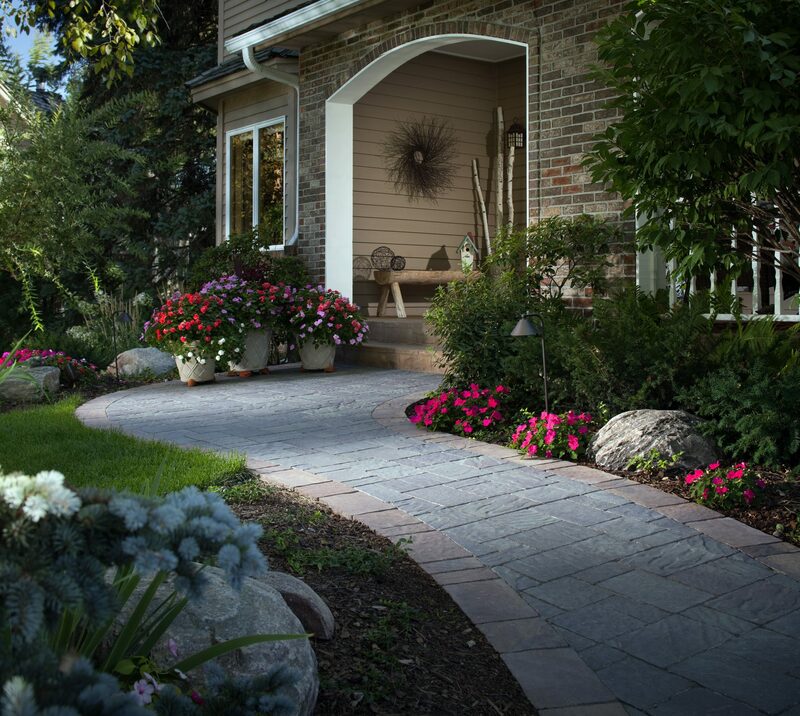 A well-designed walkway can provide the finishing touch if it complements your overall landscape design or can even be a focal point in your yard if it is designed to stand out among your other landscaping features. It can also seriously take away from your yard’s visual appeal if you do not put a bit of thought into designing it to go with your landscaping. For example, a poured concrete walkway would look rather out of place in an English cottage garden or Zen garden, but the stark look of poured concrete might fit quite well with a modern design that focuses on clean lines and limited greenery. Choose a walkway design that works for you and works with your landscape design in order to achieve the most satisfying end result and the most functional yard. Primary walkways are often a solid surface of some sort, which provides a stable, attractive way to travel through your yard and guide traffic to your front door or outdoor entertaining areas. These solid walkways might be made from concrete, bricks, flagstones or paving stones. Solid walkways tend to be more formal than stepping stone pathways and are almost always more expensive. 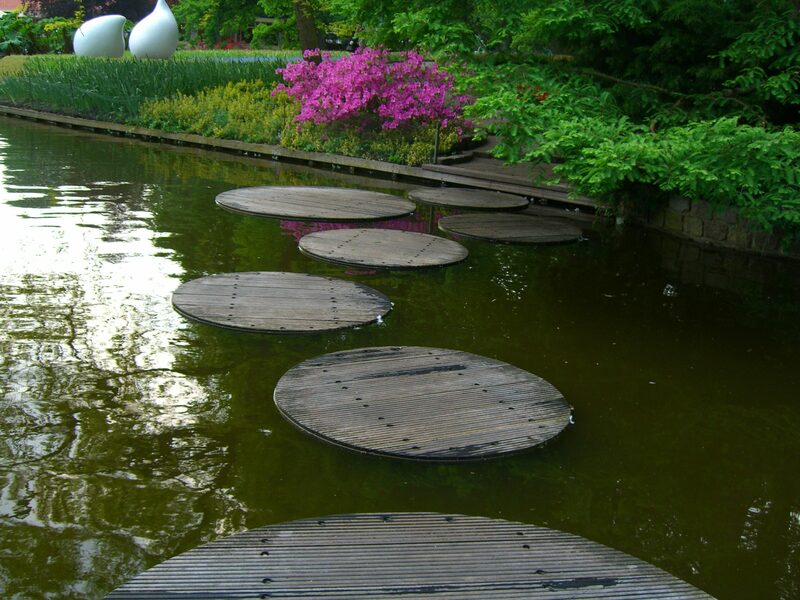 Stepping stones are generally more casual and, in some cases, can be more inviting. For example, if you have a beautiful Victorian home, there is nothing as whimsical and inviting as a stepping stone path leading to a rose garden or a hidden seating area. Stepping stones are also a good option for homeowners who do not have the budget for a solid walkway or who prefer to focus the majority of their landscaping budget on other projects. For example, if you had to choose between spending money on your outdoor entertaining areas or on your kitchen garden, you would likely want to put your landscaping dollars towards the outdoor living spaces where you will be entertaining guests or spending time with your family. While your kitchen garden is still going to need some walkways between your vegetable beds, you can save money by installing stepping stone pathways and use the bulk of your budget on a beautiful paving stone patio or outdoor kitchen. When designing walkways, most homeowners opt for solid paths in high-traffic areas or areas where children are going to be riding tricycles or pulling wagons. They are also a popular choice for high-traffic side yards, particularly if that is where you store your garbage and recycling receptacles and from where you have to drag them out each week. If that is the case, it is much easier to roll your trash can out over a paving stone or brick walkway then to drag it through a loose-fill walkway or a path with small stepping stones surrounded by loose-fill materials. However, side yards are typically not an area where homeowners want to spend a lot of money, and a path made from stepping stones surrounded by gravel is a less expensive option that will still work for things like storing garbage cans. 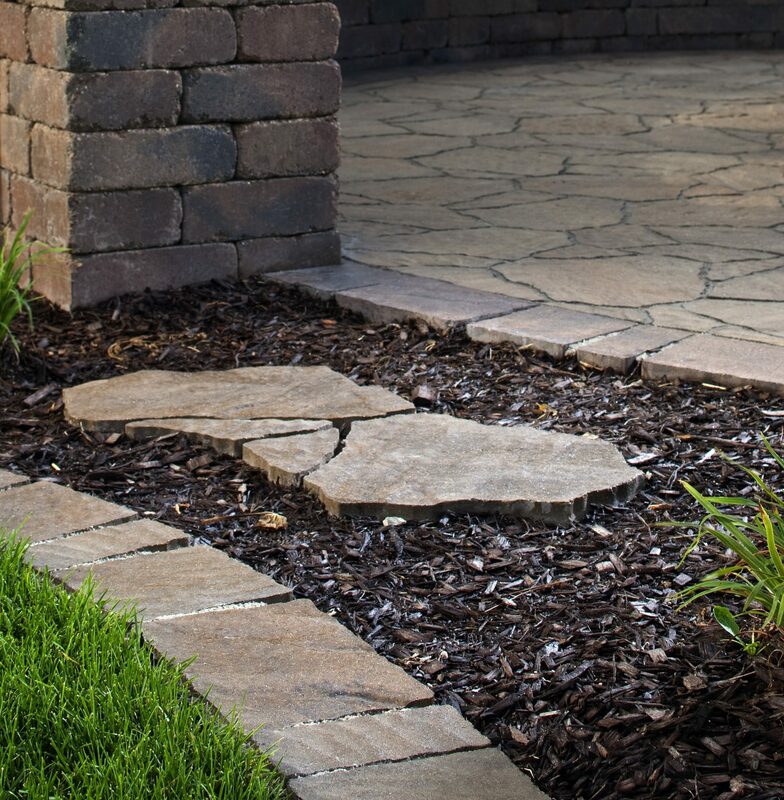 Stepping stone paths are also a good walkway solution for those who prefer more greenery and less hardscape, particularly since you can plant low-growing ground covers around them. If you prefer a greener landscape, another option you might want to consider is a grass walkway. Turf paths can be quite attractive; however, a natural grass walkway will not hold up well to heavy traffic, and you will want to include stepping stones to avoid dead spots. 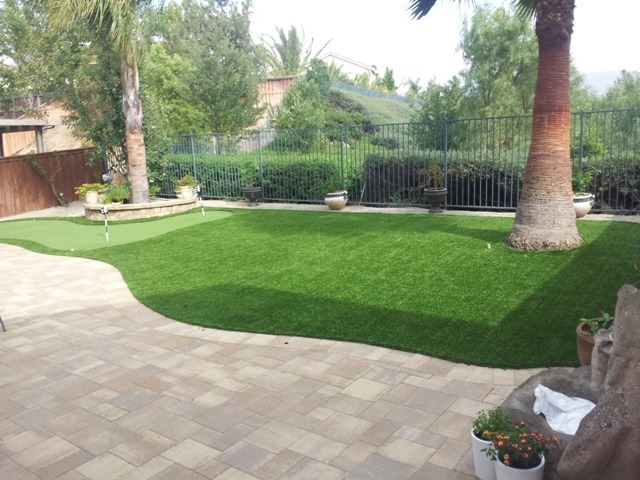 Alternatively, you can choose artificial grass for a pathway that requires no water, minimal care and will always look perfectly manicured. Once you have determined that a stepping stone walkway is the best option to fit your needs, the next step is deciding the type, size and color of stepping stones you will use. The width of the area in which you are installing your pathway will help determine the size of the stones, but you will still need to decide if you prefer smaller stepping stones that are all similar in size or larger stepping stones that give a very different look. For example, using large railroad ties cut in half and sunk into the ground will give a much different look than small, smooth, round stepping stones evenly spaced along the walkway. The type and color of stepping stone you select will depend on the style of your yard and should complement the rest of your landscaping and the exterior of your home. If you have brick, rockwork or faux stone on your home’s exterior, it is even more important that you select a complementary stepping stone style to keep a cohesive look. Having a hardscape feature like a paving stone patio does not mean that you cannot have a walkway made of bricks or river rock, but it does mean that you should carefully consider color and texture options when selecting materials for pathways that will lead from the patio to other areas of your yard. Of course, if you have a paver stone patio, you may want to consider continuing that look and quality elsewhere by opting for pavers for your stepping stones in your walkways. Pavers are manufactured to provide a stable, non-slip surface, which also makes this stepping stone choice a good option near a swimming pool or water feature. 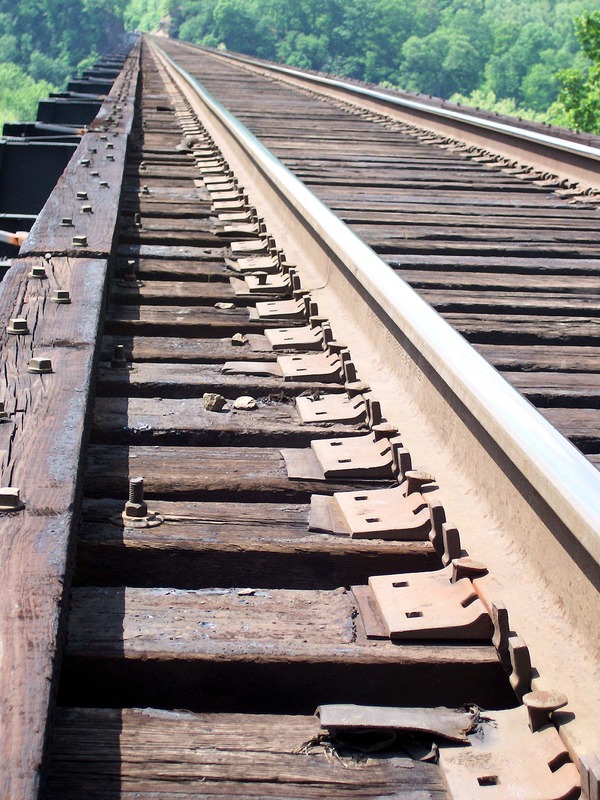 Railroad ties can be purchased at home improvement stores and usually cost less than $20.00 each. If you choose this stepping stone option, you can cut a single railroad tie into two, three, four or even five pieces, depending on the desired width of your walkway. While you might not want to create a solid walkway with bricks, you can create brick stepping stones by placing groups of bricks along your path. As more cities take down above-ground electrical, cable and telephone wires and bury them underground, old telephone poles are becoming easier to find for landscaping use. They can be used as low benches or to border raised garden beds, but they can also be cut into disks to be used as sturdy stepping stones. Manufactured stepping stones can sometimes be found in interesting shapes that might better suit your eclectic landscape or personal style. Mosaic stepping stones can be purchased at garden centers, but it is much for fun to make them at home. 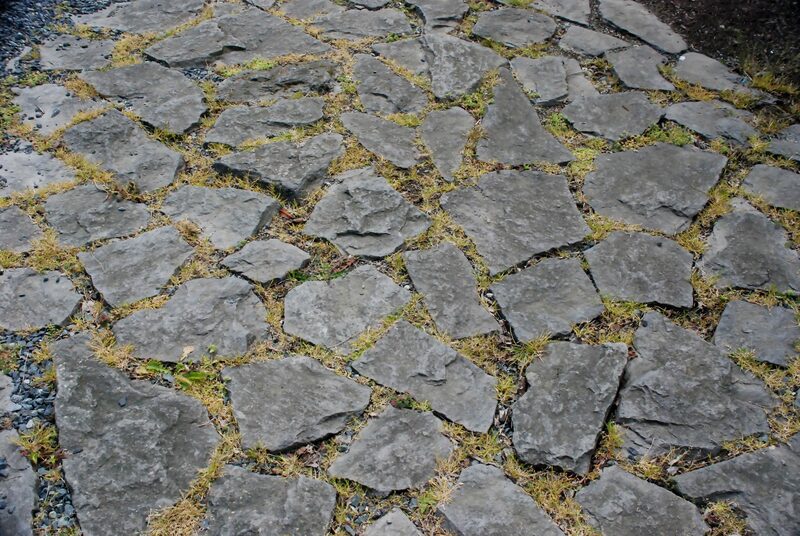 Flagstone is a popular choice for stepping stones, but its sedimentary nature means that its layers can peel over time, and it is not as durable as other options – such as flagstone-shaped paving stone alternatives that are manufactured for greater durability but still give you the look of flagstone. If you have a few large outdoor tiles left from another project (such as slate or Saltillo tiles), you can save money in your landscaping budget by repurposing them as stepping stones. Just keep in mind that larger, heavier tiles are less likely to shift once placed as stepping stones, and tiles can be slippery when wet. Even if you are not particularly handy or crafty, making your own stepping stones is one DIY backyard improvement project you can likely take on. It is a great project to do with your partner or your family, and it allows you to personalize your yard with some handmade pieces. Making your own stepping stones is a fun project that requires little skill and just a few materials, some of which you likely already have, and the rest of which you can purchase at your local home improvement store or some craft stores. For the simplest DIY project, you may be interested in purchasing a do-it-yourself stepping stone kit from a craft store. These kits usually have everything you need to make one or two stepping stones and come with easy-to-follow instructions. Alternatively you can purchase materials individually at a hardware store. This would include quick-setting concrete, a trowel, a mixing tool for your concrete, and a bucket or wheelbarrow in which to mix your concrete. You can purchase stepping stone molds as well, or you can use a 5-gallon bucket, a plastic storage bin or a similar container in the shape and size of your choosing. For safety, you will also need rubber gloves, eye protection and a paper mask to wear during the process. 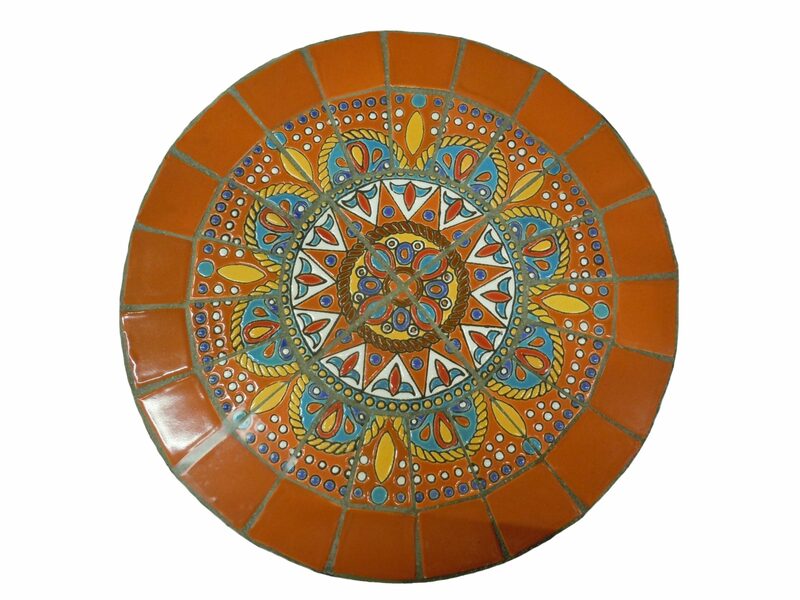 You can personalize your creation further by engraving it with names or dates, placing pieces of broken tiles or china to create a mosaic, coloring the concrete to match your landscaping, making your own concrete stamp, or pushing pebbles or marbles into the surface to create unique designs. You can find plenty of inspiration and instructions for DIY stepping stones online, like this HGTV tutorial about how to make mosaic stepping stones. 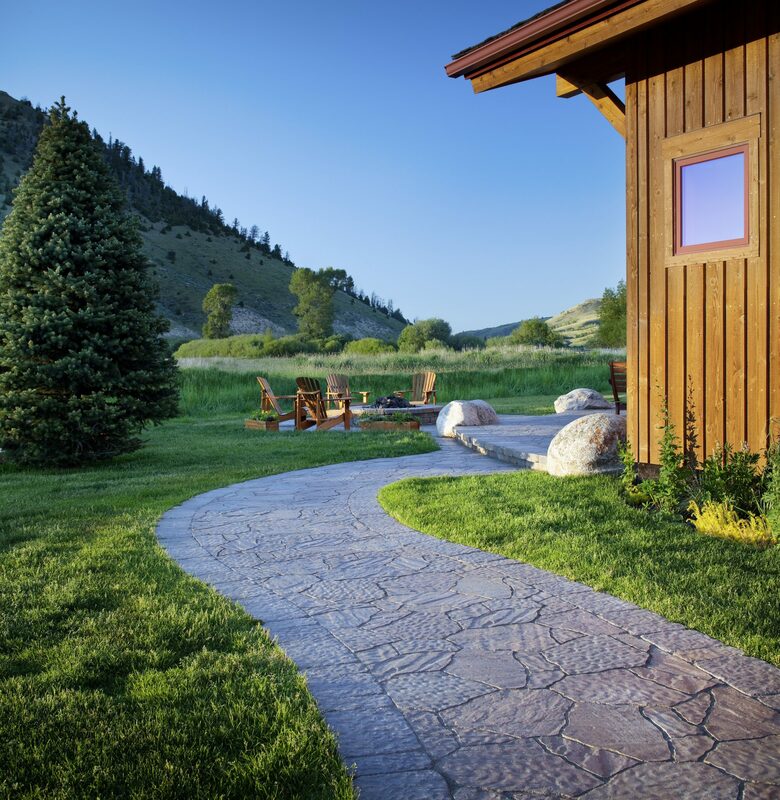 Pavers are available in small or large sizes to be used as attractive stepping stones that will immediately enhance the visual appeal of your pathway. Unlike natural stone options, manufactured paving stones are designed to provide a durable, non-slip surface, which makes them a great choice for high-traffic areas. Carrying a paving stone theme throughout your landscaping is a great way to ensure an attractive yard, but the universal appeal and variety of pavers available allows you to successfully use them with a variety of other hardscape options. For example, if you have a concrete patio, you will find paver stepping stones to be an attractive option that complements and dresses up your existing patio. Whether you make your own stepping stones or purchase them at the store, you are not quite finished with your stepping stone path after they are installed. You will still need to select a groundcover option to cover the dirt around your stones. The first decision you must make is whether you want a living or non-living ground cover. You will need to consider how much sun the area receives and whether or not you are willing to water and weed, if you choose a living option. If you choose a non-living groundcover and are not fond of pulling weeds, you should consider first installing a weed barrier – like landscaping fabric or plastic sheeting – before spreading out your groundcover. 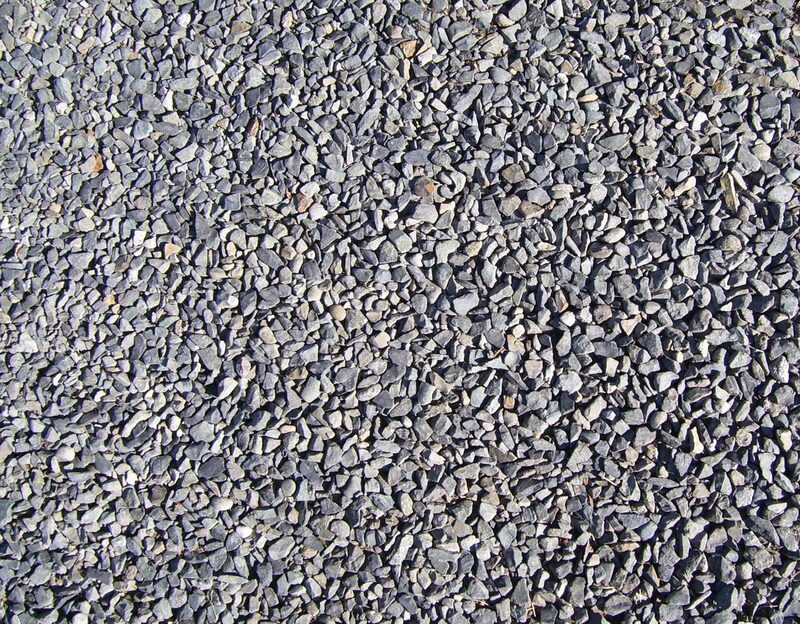 Bark, mulch, wood chips, pea gravel, beach pebbles and drainage rock all make good groundcovers for between stepping stones; however, if it is a high-traffic area leading to your house, you may not want to use pea gravel or mulch, which can stick to shoes and be tracked indoors.